Stacey is responsible for the education and training of exclusive NP Dodge programs. These include programs for Digital Transaction Management, eSignature, Auto Fill Document Creation, Customer Relationship Management, Agent Connect & Rebranding and various website functions to help build, manage, and market agent-related business. Stacey has several years of experience with the real estate industry and the company from her work with our Marketing Department and with TitleCore National. She worked in one of our residential offices with the title and escrow team and also with the commercial title and escrow team. Born and raised in Omaha, Stacey enjoys spending time with her family and being the aunt to ten nieces and nephews. She is also passionate about skin care and holds an Esthetics license in the state of Nebraska. This data was last updated on Apr 22, 2019. The data is subject to change or updating at any time without prior notice. All properties are subject to prior sale or withdrawal. 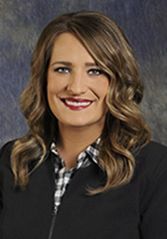 The information was provided by members of The Great Plains Regional Multiple Listing Service LLC Internet Data Exchange or members of the Broker Reciprocity program of the Southwest Iowa Association of Realtors (SWIAR) and is copyrighted. Any printout of the information on this website must retain this copyright notice. The data is deemed to be reliable, but should be independently verified as no warranties of any kind, express or implied, are given. The information has been provided for the non-commercial, personal use of consumers for the sole purpose of identifying prospective properties the consumer may be interested in purchasing, and any other use is prohibited. The listing broker representing the seller is identified on each listing.